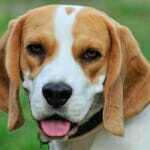 Two dogs recently transported from overseas to animal shelters and rescue groups in Wisconsin have tested positive for canine brucellosis. 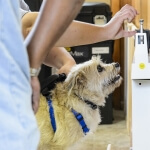 The UW–­Madison Shelter Medicine Program is advising the shelters on quarantine procedures. 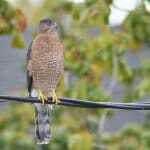 A team of Wisconsin researchers documents that woodland hawks — once in precipitous decline — have become firmly established in urban environments, thriving primarily on a diet of backyard birds. The results of a new study provide much-needed context about the natural history of an island long considered an unspoiled wilderness, but one with a long history of ecological disruptions and recoveries. 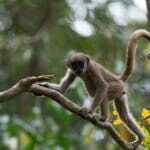 “We think this may be one of the most comprehensive efforts to analyze the data monitoring needs for ensuring the survival of an endangered animal,” says Karen Strier, who has observed muriquis in Brazil for 35 years. 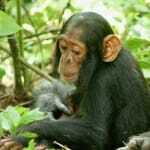 Scientists investigating an outbreak of respiratory disease in a community of wild chimpanzees in Uganda were surprised and dismayed to discover that rhinovirus C was killing healthy chimps. 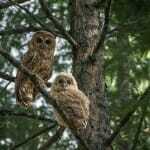 Researchers say despite protections put in place in the 1990s, owls may still be paying an “extinction debt” that was created by historical logging of large trees. “In water, the surviving perch grow twice as fast, because they are smelling something that signals the presence of predators,” says researcher Terence Barry. 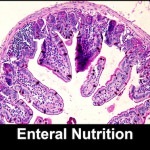 Experiments suggest it could help people who must obtain "enteral nutrition" — often due to swallowing problems related to cancer, neurological disease, surgery or developmental delay. 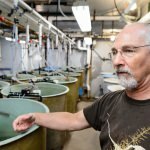 A University of Wisconsin–Madison group that discovered a way to improve survival in fish farms has begun to unravel the mechanism behind their unexpected finding. 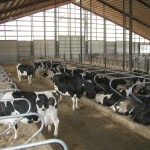 Wisconsin farmers consult with the UW's Nigel Cook, an expert in scientific treatment of dairy cows — which, Cook says, is sensible, humane ­­­­and profitable all at once. 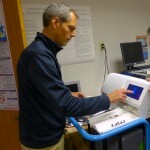 A UW–Madison spinoff called Isomark is working to introduce a new infection-detection technology into hospital intensive care units. 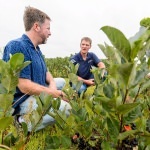 Some Wisconsin cranberry farmers have started growing aronia, a fruit that is sometimes touted, in this nutrition-conscious era, as the "next superfruit." A UW–Madison spinoff is helping explain aronia's benefits. 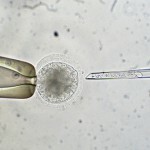 Microlyte, patented by Imbed Biosciences, will compete in the $2 billion market sector of "advanced wound dressings," which are used to treat ulcers, burns, bedsores and other difficult wounds. 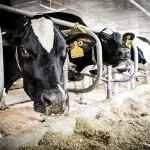 Serotonin is best known for eliciting feelings of happiness in the human brain, but scientists at the University of Wisconsin–Madison have found the hormone plays a role in milk production in dairy cows — and may have health implications for breastfeeding women. 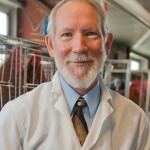 Emeritus Professor Neal First, a pioneer in cattle reproduction and cloning who studied animal physiology at the University of Wisconsin–Madison for 45 years, died Nov. 20 from complications of cancer. When Jeff Sindelar talks about the ingredients he's working with, you'd think he was making juice. Not quite. He's adding things like cranberry concentrate, cherry powder, lemon extract and celery powder to meat. 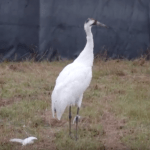 As Wisconsin lawmakers debate whether to establish a hunting season for sandhill cranes, they may want to consider more than just the sheer number of birds, suggests a University of Wisconsin–Madison specialist in avian genetics.